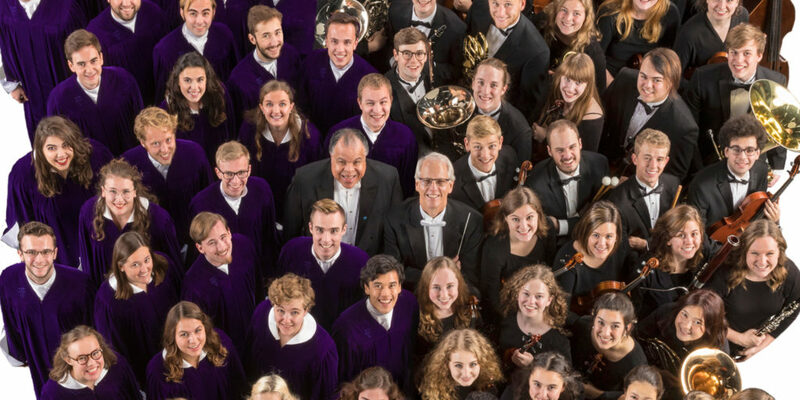 The world-renowned St. Olaf Choir and St. Olaf Orchestra of Northfield, Minnesota will return to Norway this summer for 10 exciting performances throughout the nation. This 18-day journey marks their first joint visit since 2005, when the two ensembles toured the country celebrating the centennial of Norwegian independence. Presented by Classical Movements from May 29-June 15 , the combined forces of the St. Olaf Choir and the St. Olaf Orchestra will share the stage during four concerts in Oslo (Oslo Opera House), Stavanger (Stavanger Konserthus), Bergen (Grieghallen) and Trondheim (Nidarosdomen), in addition to six solo performances. Directed by St. Olaf alumnus Anton Armstrong since 1990, the internationally acclaimed St. Olaf Choir will perform brand-new music by living Norwegian composers such as Ola Gjeilo and Kim André Arnesen , stirring arrangements of American spirituals by André Thomas and Moses Hogan and beloved choral works from masters such as Bach , Mendelssohn and Grieg. Armstrong will lead the St. Olaf Choir—“a tour de force that brought the audience to its feet,” Washington Post —in four solo concerts: Larvik (Kulturhuset Bølgen), Haugesund (Vår Frelsers Kirke), Ålesund (Ålesund Kirke) and Kristiansund (Kirkelandet Kirke). Under the baton of Steven Amundson for more than 38 years, the award-winning St. Olaf Orchestra will perform an expertly curated program, highlighted by Samuel Barber ’s Overture to The School for Scandal and Tchaikovsky ’s Fifth Symphony, as well as John Williams ’ scores from the Harry Potter films and Grieg ’s own Norwegian Dances. Amundson will conduct the St. Olaf Orchestra—“one of the best college orchestras in the nation,” Time Magazine —in two concerts of their own: Voss (Voss Kulturhus) and Nordfjordeid (Operahuset Nordfjord).